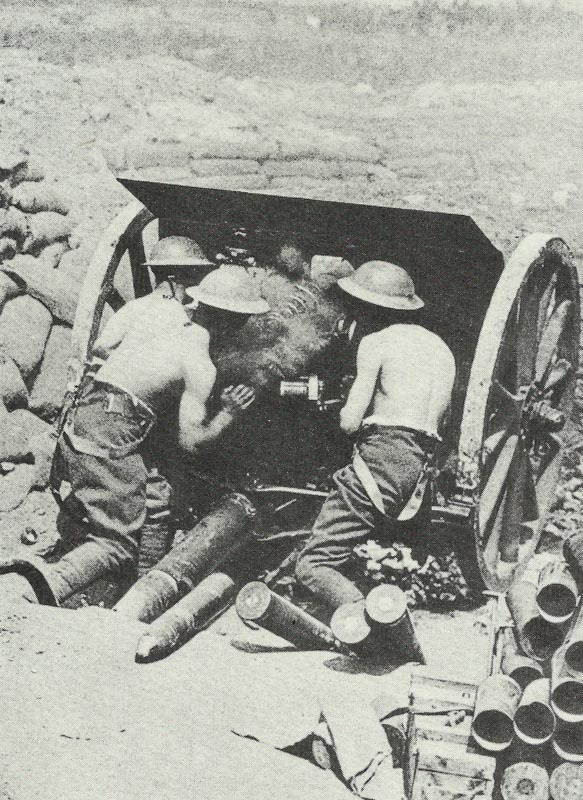 British gunners on a field gun at the Somme. Somme – British barrage opens: 2,029 guns fire 1,732,873 shells, but c 1/3 dud, although 109 German guns destroyed or damaged. BEF makes 70 trench raids and 40 gas attacks until June 30. French Prime Minster Briand visits Haig and urges attack without fail. Verdun: French counter-attacks at Fleury until June 25 gain little. Brusilov offensive: Brusilov given Third Army in Southern Pripet, orders Eleventh Army to hold while flank armies continue. East Africa – Action of Lukigura: British troops with armoured cars defeat Captain Doering’s 500 men, take 53 PoWs, 1 gun and 2 MGs. Lettow withdrawing from Kondoa Irangi under bombing. Belgian Northern Brigade occupies Beharamulo, reaches Lake Victoria on June 30.